Strange, eerie and illusive; photographs that lend themselves to an implied narrative or otherworldly oddity. In documenting the oddness of real life, the “Photographer of the Freaks” Diane Arbus, once said her pictures sought to capture “the space between who someone is and who they think they are”. There is a realness and and a perplexing otherworldliness to her work that makes it so provocative. In contrast, some odd works are less about exposing the weirdness of reality but more about the artist constructing an alternate universe. Photographers have created images that intentionally perplex the viewer as early as the 1860s; Henry Peach Robinson was a pioneer of combination printing, creating the illusory photo montage long before there was Photoshop. 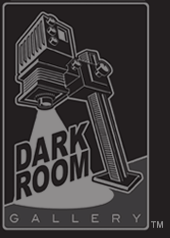 Darkroom Gallery is calling for images that lead one to the edge, encouraging the mind to leap. Documentary shots, multiple exposures, constructions, staged, anything goes, just go ahead and leave the viewer baffled. Juror’s Choice receives a 30×48″ vinyl exhibit banner featuring their image, free entry into a future exhibition, and a free exhibition catalog. People’s Choice gains free entry into a future exhibit. Oliver Wasow is a fine art photographer and collector of found photography oddities currently living and working in Rhinebeck, NY. He received his BA from Hunter College and his Master’s Degree from the Transart Institute, In Austria. His work is currently represented by Theodore:Art Gallery in NYC. Wasow has had a number of one person exhibitions, including shows at the Josh Baer Gallery, Janet Borden Gallery, Tom Solomon Gallery in Los Angeles, The South Eastern Center for Contemporary Art in North Carolina, and Galerie De Poche in Paris, France. His work has also been included in numerous national and international group shows, including such benchmark exhibitions as ‘Manipulated Photography Before Photoshop,’ at The Metropolitan Museum of Art, ‘Image World,’ at the Whitney Museum of Art in NYC, and ‘The Photography of Invention,’ at the National Gallery of Art in Washington, DC. His photographs are included in a number of private collections and are also represented in various prominent public collections, including The Metropolitan Museum of Art, The Whitney Museum of Art, The Museum of Modern Art in New York City, and The Milwaukee Art Museum. Reviews of his work have been featured in most major art publications, including, among others, Art Forum, ArtNews and The New York Times. He has been the recipient of various grants and awards including a Louis Comfort Tiffany Grant in 1999 and, in 2000, his second New York State Council on the Arts Grant. This entry was posted in Apply and tagged Apply, Call for Entry, TWU, TWU Photo Nexus. Bookmark the permalink.